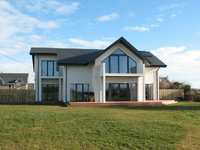 Solar gain is a fundamental principle of Passive Design. 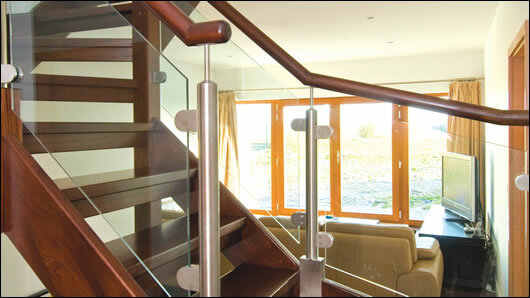 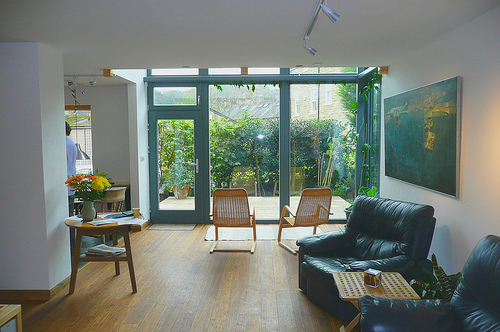 Passive Design utilises the sun’s energy to create a comfortable internal environment; as the sun’s energy can provide most of the light and heat needed in a Passive House. 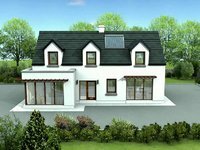 From the sketch above we can clearly see how a Passive House benefits from solar gain; however we need to understand the underpinning concepts. 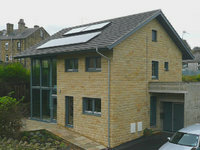 Orientation is a key concept involved in maximising solar gain. 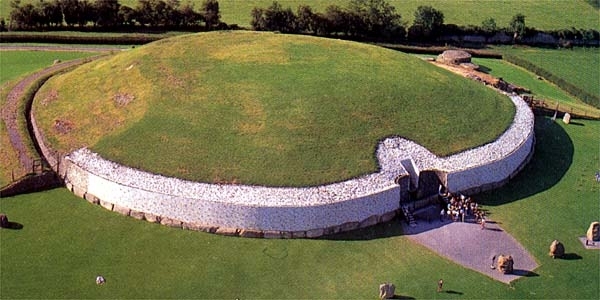 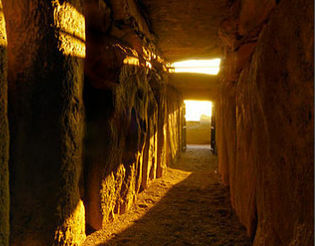 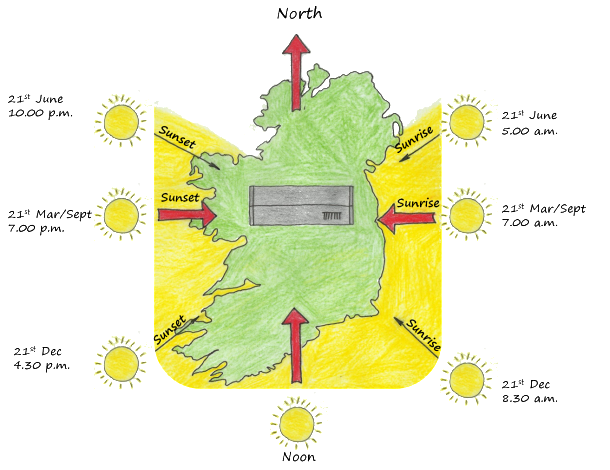 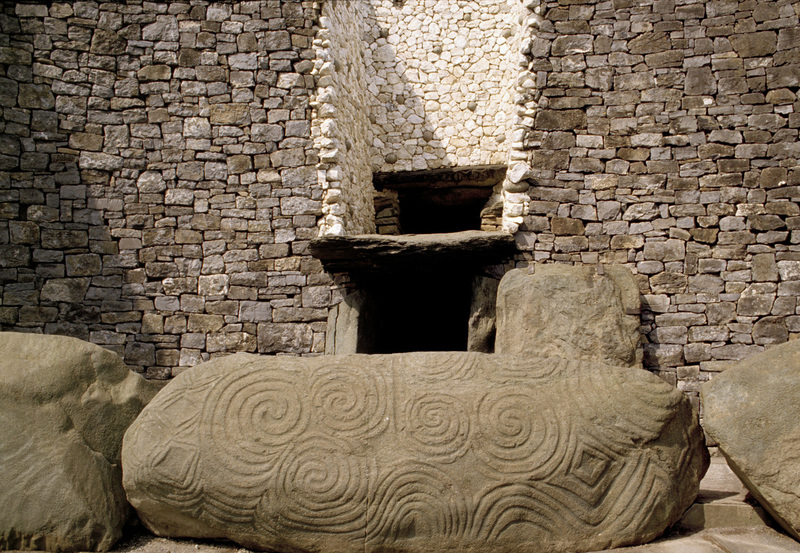 Ireland, being in the northern hemisphere means that the sun will rise in the East and set in the West. 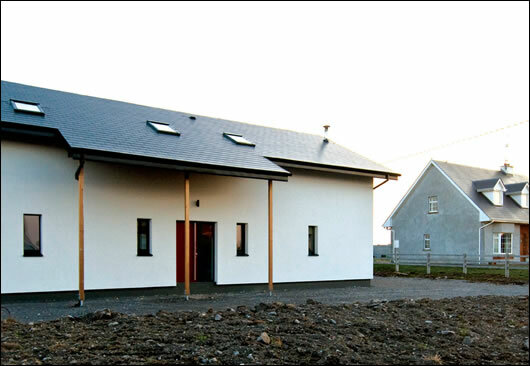 Therefore to maximise solar gain a passive house should be orientated so that its long facade faces south. 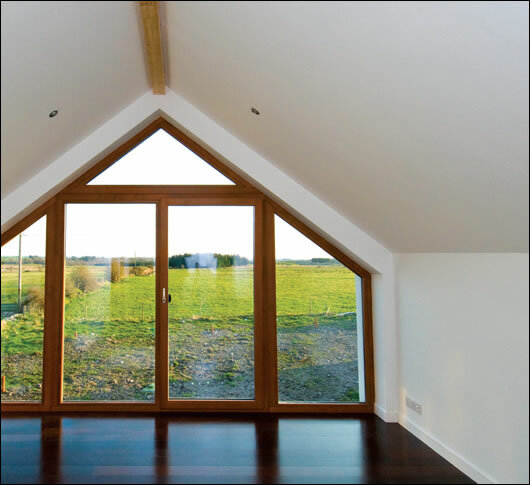 This south facing facade should have maximum glazing whilst glazing on the north facade should be kept to a minimum. 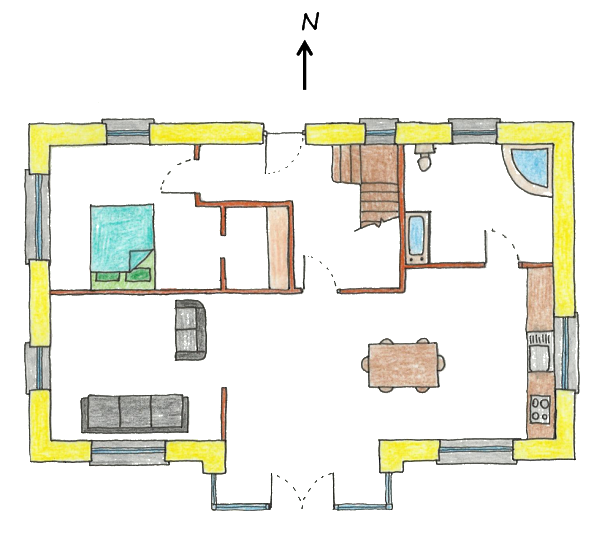 To reap the benefits of the suns energy the plan should be narrow and rectangular in shape so that the sun can shine deep into the house. 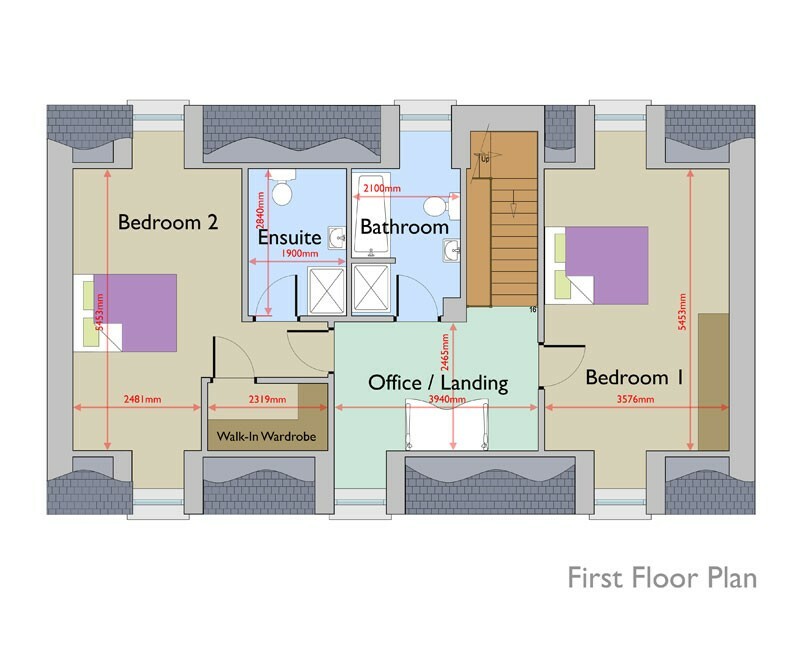 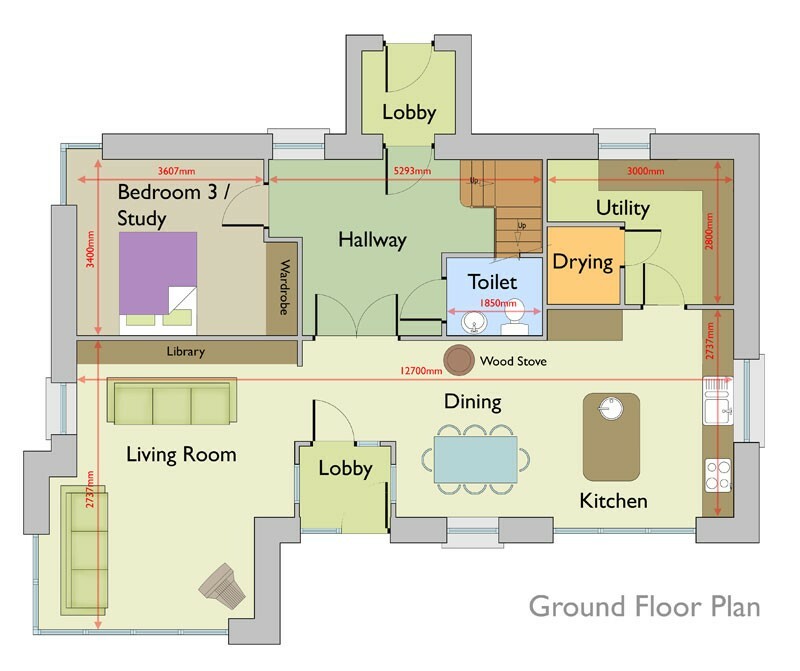 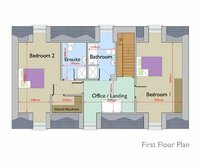 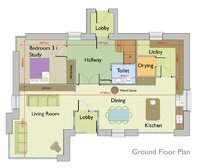 For comfort, the rooms that are used most (living room, kitchen, etc...) should be situated on the south side of the plan whilst rooms which are used least (toilet, utility, etc...) should be situated on the north side. 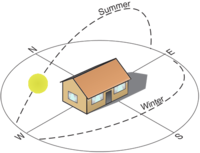 We now have a base understanding of orientating a passive house to reap the benefits of the suns energy; we now need to understand the suns path and the effect this can have on the performance of a passive house. 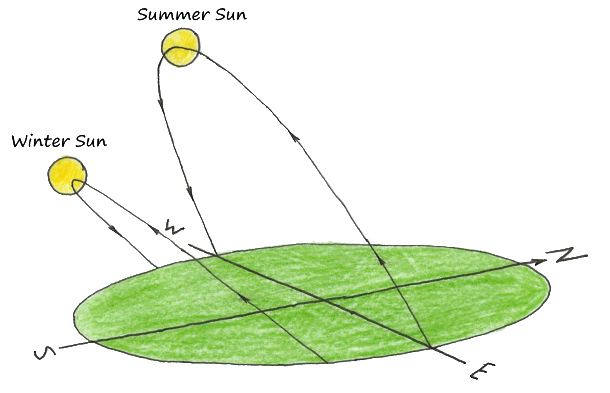 From the above sketch we can see the difference in the suns path between summer and winter. 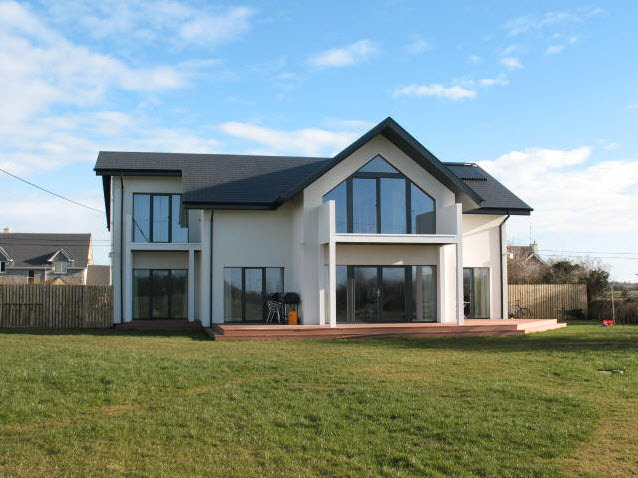 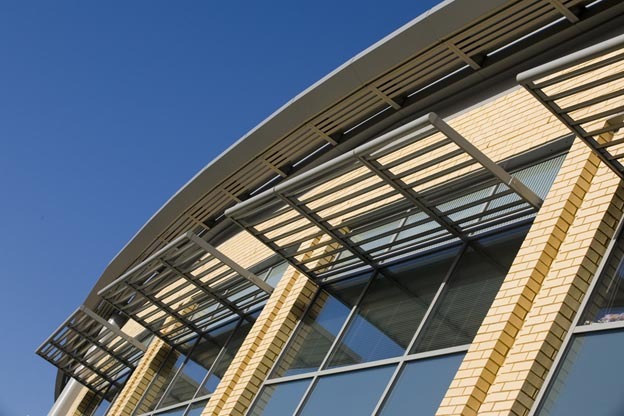 In winter the sun is lower in the sky but further away; as a result of this the solar energy is quite weak, hence it is vital that there is maximum glazing on the south facade to maximise this light and heat gain. 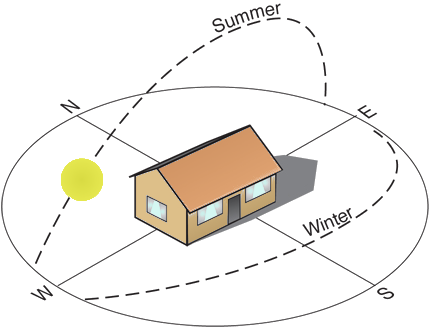 In summer the sun is higher in the sky and closer than the winter sun. 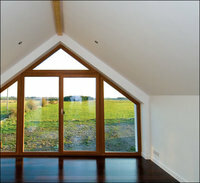 In the afternoon it is at its most effective; putting the passive house at a risk of overheating. 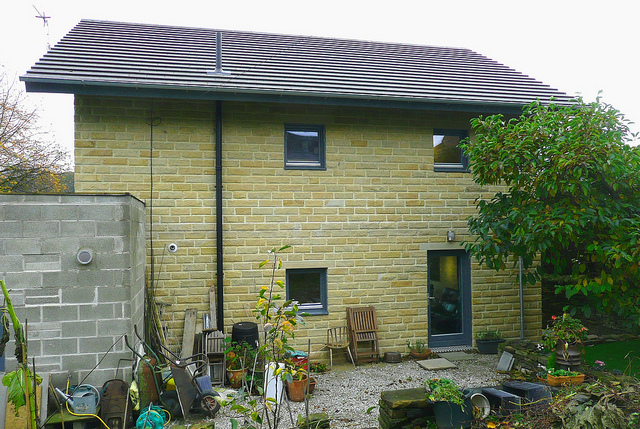 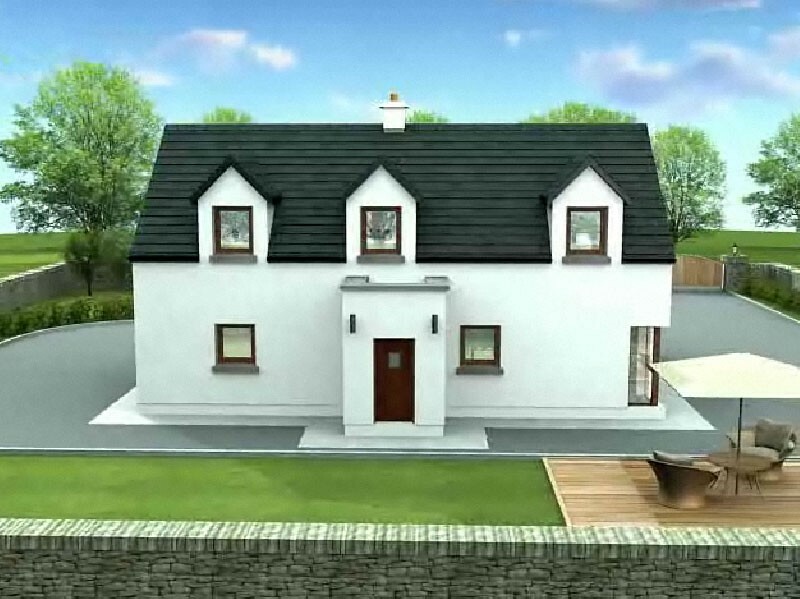 To prevent this occurring passive houses utilise overhangs or a brise soleil on the southern side of the house. 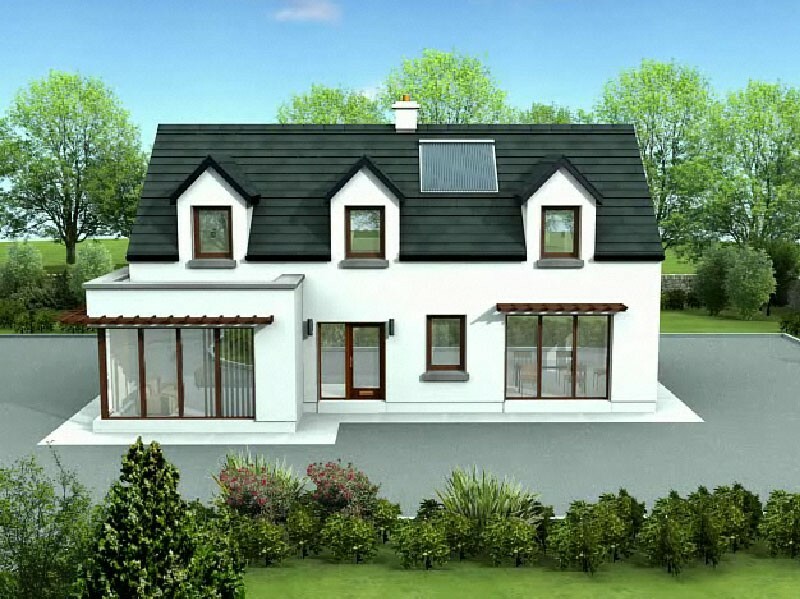 In the above sketch we can see how a passive house can utilise an overhang to prevent overheating by blocking the summer afternoon sun from entering the house. 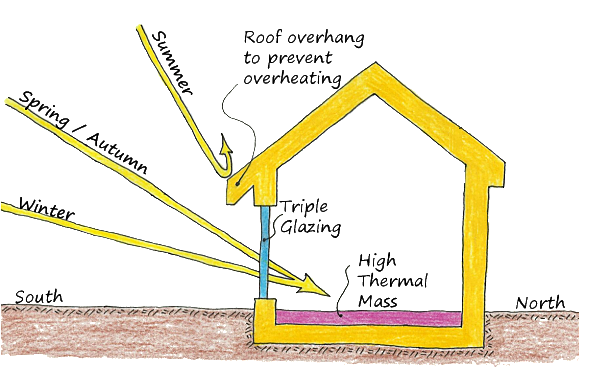 In this sketch there is also a label called thermal mass; this refers to a material (e.g. 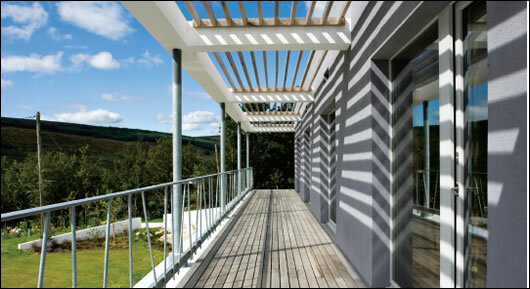 concrete) that has high thermal mass enabling it to store the heat energy and release it steadily throughout the day. 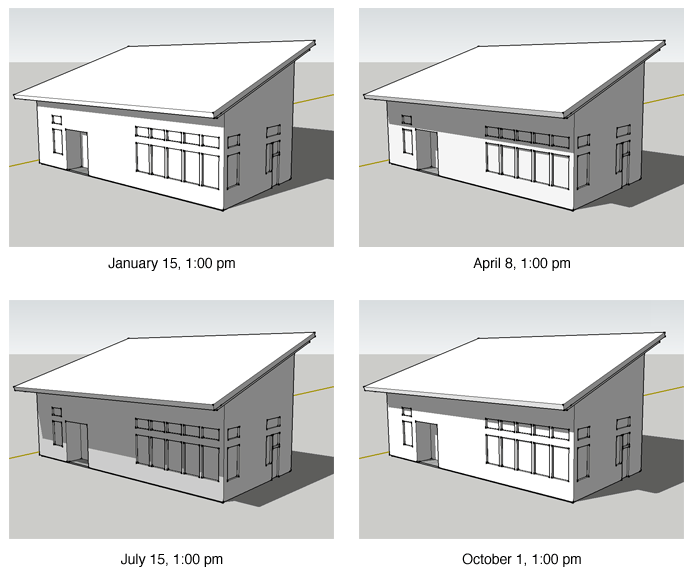 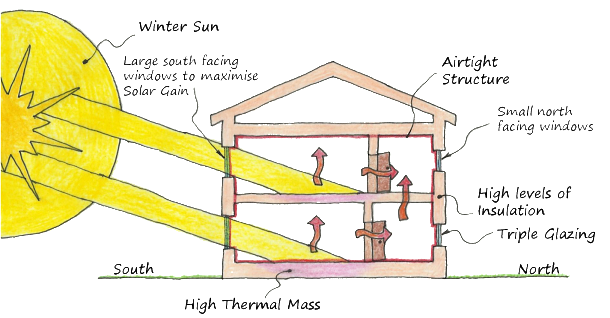 The sketch above shows how a passive house can utilise a brise soleil (sun-breaker) to prevent overheating. 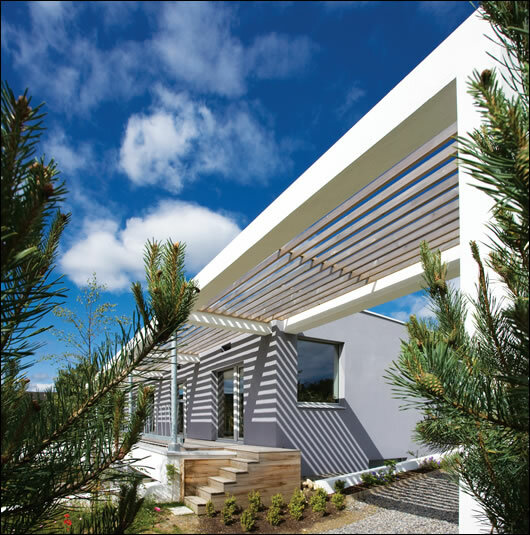 It again works on the same principles of the overhang; preventing the summer afternoon sun from entering the house whilst ensuring that the sun can shine deep into the house when it is not at such an intense heat (e.g. morning summer sun, winter sun, etc...). 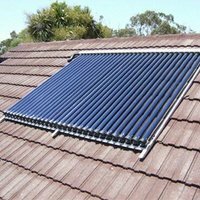 The last aspect of solar gain is solar water heating. 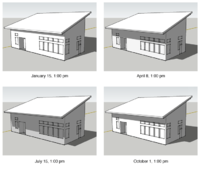 This aspect is not mandatory to passive design however it is a very common occurrence. 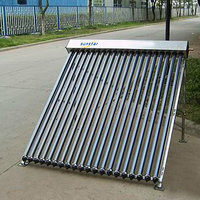 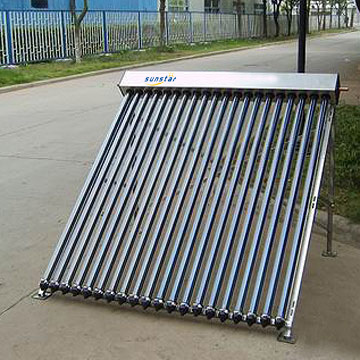 Solar Water heating simply uses solar panels (collectors) to heat the water. 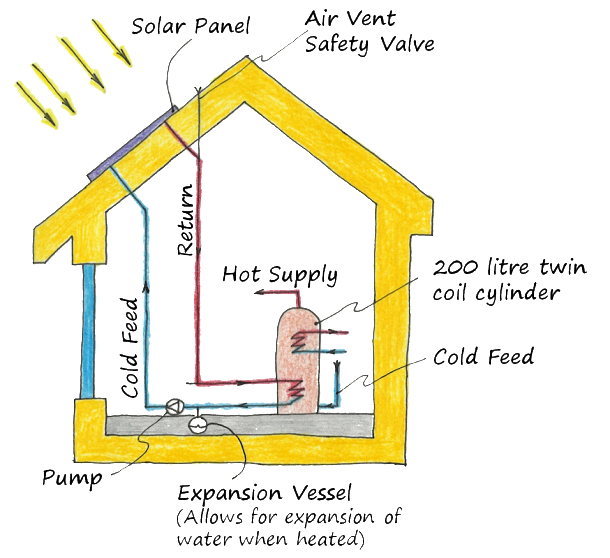 The suns energy is used to heat the solar collectors; cold water is pumped into the solar panel (heating up the water) which is then pumped back into the cylinder.